Today I have a seasonal recipe that is easy to make, tastes amazing, and will warm your belly. With fall in the air, one of my favorite things to make is chili. I just love chili!! It’s so good served with crusty bread and a side salad. Plus it makes for great leftovers and is perfect for a family meal. 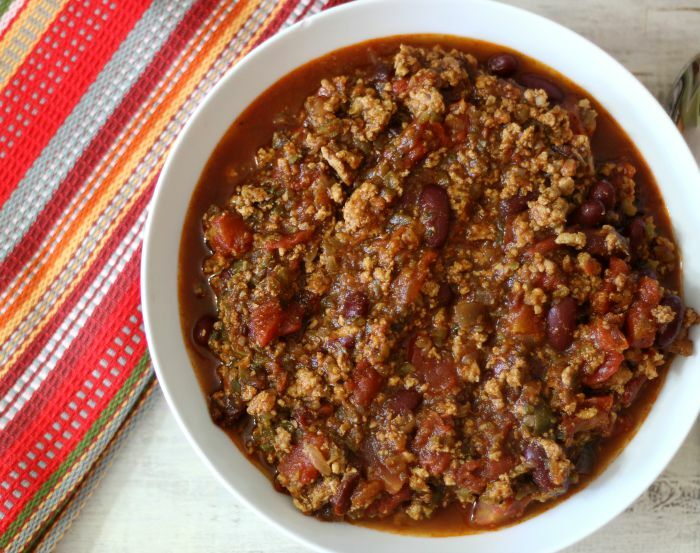 Today, let me introduce to you Spicy Turkey Chili. 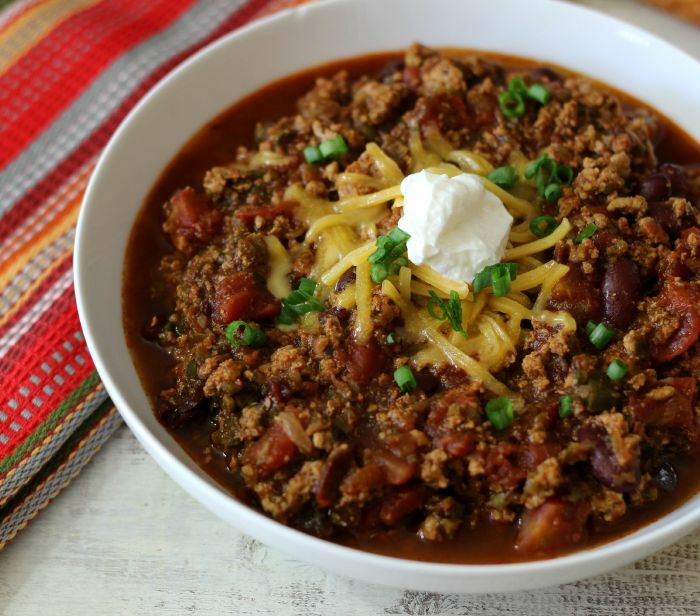 The chili is hardy, filling, low-calorie and has just enough spice but not too overbearing. It’s made with fresh poblano peppers and jalapenos from my garden. Can you believe they are still growing and we are into fall now. I am blessed with my pepper garden this year. For a little bit more kick of heat I added chipotle in adobo sauce. I feel it gives the chili a nice smoky flavor. When cooking it, the smell was amazing. It’s a true crowd pleaser. In the recipe I used Foster Farms Organic Ground Turkey. This was my first time cooking with ground turkey – and what a pleasant surprise! It chopped up nice and fine. 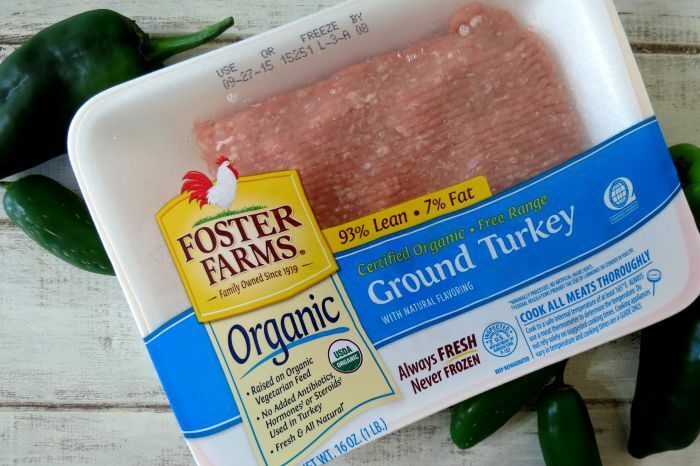 I told my husband when I was making it how amazing Foster Farms Organic Ground Turkey is to cook with. Plus I love that it is USDA Certified Organic, antibiotic free and raised free-range on organic land. It is also 100% natural with no added hormones or steroids, 93% fat-free and is locally grown in California. You should check it out at your local grocers. It’s available at Costco and select supermarkets in CA, WA and OR. 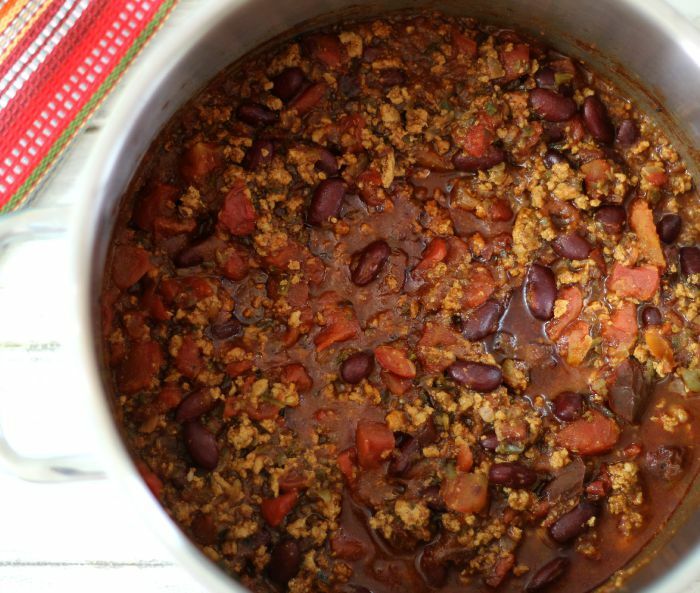 An easy, quick, spicy, slightly smoky chili made with organic ground turkey. It's not extremely spicy, but does have a nice kick. Over medium heat; In a large pot, add olive oil, onion, garlic, poblano peppers, and jalapeno peppers. Cook for 2 minutes, just until slightly tender. Add ground turkey and cook until no longer pink. Add chipotle pepper and sauce, diced tomatoes and kidney beans. Mix until well combined. Add chili powder, ancho chili powder, oregano, salt, and pepper; mix until combined. Bring to a boil, simmer on low for 30 minutes. 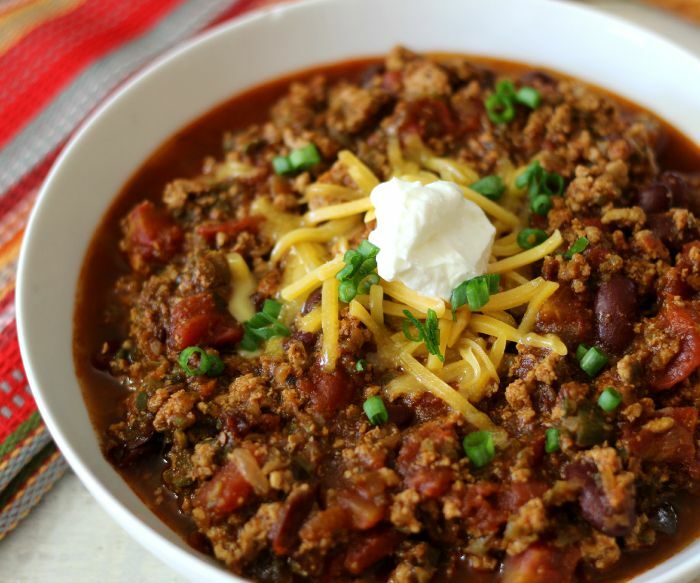 Top chili with sour cream, scallions and cheddar cheese if desired. The Chili is really good served the next day. You can also freeze it. 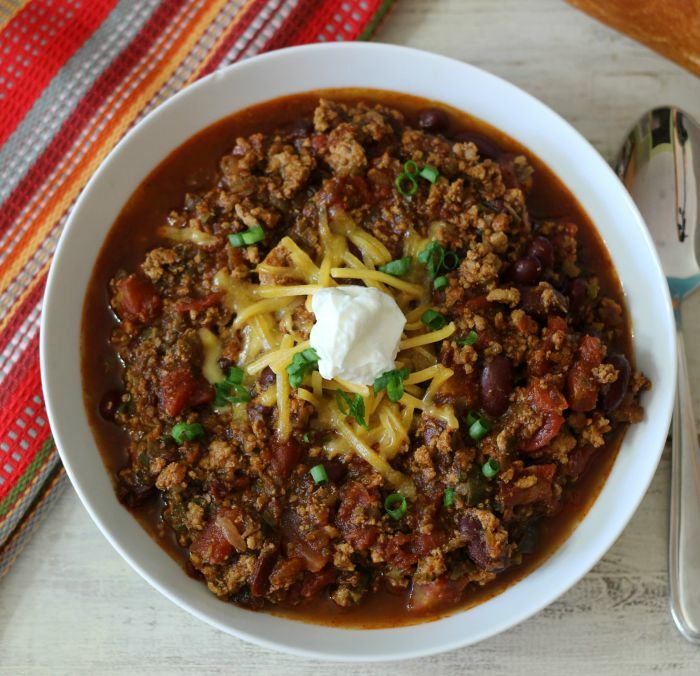 Nothing beats chili this time of year. I served it on Football Sunday. It was a sure hit and I bet it will be with your friends and family, too. Do you love turkey as much as I do? You should check out #TurkeyTuesday Pinterest board. It has amazing ground turkey recipes and beautiful photos. I bet there will a recipe or photo that will inspire you to create your own turkey dish.